Ludwig Mies, one of the founders of modernist architecture, helped popularise the notion “less is more”, and that’s wisdom prospective property sellers and landlords would be well advised to heed. What do you think when you see the same home advertised almost everywhere you look for months on end? That it’s a must-view property? Or that there’s probably something wrong with it? A prolonged and visible lack of interest is seen as a warning sign by many would-be buyers, especially if it’s evident the seller or landlord has reduced the price one or more times. Scarcity is desirable, ubiquity the opposite. An agent who knows an owner and has given them an exclusive listing is more likely to work harder to sell or rent that property. You may think advertising with multiple agents creates competition and so will spur them to fight to find a buyer the fastest, but that isn’t the reality – more likely, is that they’ll question whether it’s worth putting in the time and effort when they might be pipped by a rival and end up with no commission at all. If a property is registered with multiple agents it’s much tougher to stop additional, unscrupulous brokers from copying the advert and including it among their own listings without the owner’s consent. Unsanctioned adverts typically offer a price far below the market value, luring in unsuspecting customers who are then told the property has been sold and are instead shown others on the dodgy agent’s books. Clickbait property adverts were one of the reasons Propertyfinder Group launched the free-to-use Verified Listings service, which prioritises properties for which we’ve seen documentation proving the advert is accurate and the broker has permission to promote it. Verified Listings, earn extra ranking points on propertyfinder.ae and are rotated on our homepage. During April 2017, a verified listing received almost two times the amount of enquiries, on average, when compared to a non-verified listing. When properties are listed multiple times, it makes it appear there are substantially more units for sale than is the case. Oversupply – and even just the perception of it – can drive selling prices lower, another reason to cut down on the clutter of duplicate adverts. 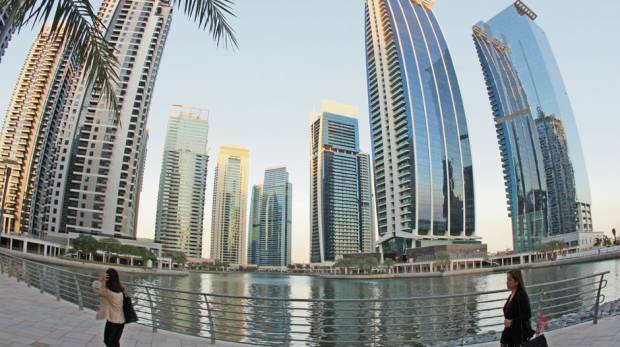 Not only are multiple listings counter-productive, they may also be illegal – in Dubai, the real estate regulator allows prospective sellers to use a maximum of three agents simultaneously. If you take our advice and opt to use a single real estate agent, then it’s even more important to choose the right one. With so many companies vying for your business that’s a difficult decision, so we’ve tried to make things easier for you with the “Find Agent” section of propertyfinder.ae. Here, you’ll find the name, photo, career summary and other vital info such as languages spoken and number of deals completed for every agent we feature. Trakheesi is a Dubai government initiative to improve transparency in the emirate’s real estate sector. Now, real estate brokers must first be Trakheesi-registered to place a property advert in the media, which includes specialist websites. Once approved, they then submit a copy of the unit’s title deed, a form confirming the owner agrees to the broker marketing the property, and a separate letter from the broker stating the type of property to be advertised. These rules apply to both sales and rentals, with brokers required to include permit numbers in their adverts. These welcome requirements are likely to hasten the move to one-agent-one-property listings.